After three films, it looked like the Harry Potter series began to run out of steam, as each one presented diminishing returns. The series started with the $317 million of the first film, good for first place on 2001’s box office charts. From there the second release grabbed $261 million, which meant it was fourth on the 2002 list. Finally, the third effort dipped to $249 million and drooped to sixth place on its year’s charts. Circa 2004, no one should sneeze at $250 million, but the trend didn’t seem promising for the franchise. To the relief of all involved, 2005’s Harry Potter and the Goblet of Fire reversed this. Its $287 million gross didn’t present an astonishing improvement of its two immediate predecessors, but it seemed impressive given the downward slant of the prior flicks and it appeared to indicate Harry wasn’t dead yet. Analysts discussed a number of possible reasons for the reversal of the trend, but there’s only one that I favor: it’s a pretty good movie. Probably the best of the series to that point, actually, as Goblet offers the first Potter flick that I found to be truly satisfying. Goblet picks up with Harry’s (Daniel Radcliffe) fourth year at Hogwarts School of Witchcraft and Wizardry. Before he gets there, though, he heads to the Quidditch World Cup with pals Hermione Granger (Emma Watson), Ron Weasley (Rupert Grint) and his family. This offers some fun but goes downhill when Death Eaters – the minions of evil Lord Voldemort – appear on the scene. This signals the apparent return of Harry’s old nemesis, and that theme haunts much of the story. However, that lurks in the background most of the time, as Goblet mainly focuses on the Twiwizard Tournament. This event brings representatives of two other schools to Hogwarts and plans to pit three young wizards in a dangerous competition. Various rules get stretched, however, when Harry’s name mysteriously pops up. Despite being underaged and a fourth wizard, the Goblet has the final word, so Harry becomes part of the contest. Goblet follows Harry’s competition against schoolmate Cedric Diggory (Robert Pattinson) as well as visitors Fleur Delacour (Clemence Poesy) and Viktor Krum (Stanislav Ianevski). They face dragons, merpeople and a killer hedge maze as they try to win the contest. Harry also has to face his past when Voldemort reappears. As one who never got into the Potter books, the first three films left me moderately cold. I thought they were reasonably entertaining, though I admit Azkaban made the material start to wear thin. They all began to seem an awful lot alike, and there wasn’t enough fresh material to sustain my interest. While it doesn’t reinvent the wheel, Goblet finally manages to break through and present something different. Much of the reason for its success comes from its focus on story. During the first three movies, plot seemed inessential. Someone chased Harry and tried to kill him – the end. Those flicks appeared more concerned with the shenanigans behind the scenes at Hogwarts than they did the events connected to their plots. That emphasis made the movies meander and ramble without much purpose. Goblet manages to give us more of those “life at Hogwarts” moments but they don’t dominate – or at least they don’t feel like they dominate. This comes as a surprise when you consider that director Mike Newell is new to the franchise and not someone who seems appropriate for a fantasy series. Prior to Potter, Newell was best known for quiet efforts like Mona Lisa Smile and Four Weddings and a Funeral. Donnie Brasco required a little more action than those, but Newell still seemed like an odd choice for the Potter series. That makes it a surprise that he did so well, though perhaps his background in character pieces helped him. No one thinks of the Potter flicks as character-driven, but Newell shows a self-assured tone when it comes to the exposition and personalities of the participants. These elements blend together much better than in the past. We still get plenty of bits that don’t directly connect to the story – the extended Yule Ball sequence especially – but Newell manages to connect everything so well that it all feels like part of the plot. It also helps that the story itself differs from the usual “someone’s trying to kill Harry” line. I suppose that’s still true deep down, since Voldemort remains below the surface, but the Triwizard Challenge creates a new framework for the action. This is a crucial difference, as it allows the story to breathe and prosper without the usual sense of “been there, done that”. Finally, Radcliffe shows signs of being an actual actor. I thought he served as a void at the center of the first three movies, but here he displays real life and personality. Harry starts to come across as a true person, not just a sap without any vivacity. I finally began to care about the character, largely because Radcliffe finally began to show some talent. Not all is perfect with Goblet, though. At more than two and a half hours, it’s still too long, and it goes off-story on occasion. Nonetheless, there’s much more here to like than to dislike, and the film holds together well as it presents a surprisingly cohesive tale. The characters truly grow and become interesting for the first time, and it seems less bogged down in minutiae. At least through the first four flicks, Goblet stands as the best of the franchise. 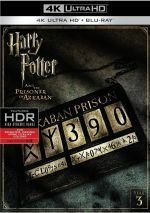 Harry Potter and the Goblet of Fire appears in an aspect ratio of approximately 2.40:1 on this 4K UHD Disc. Like its predecessors, this turned into a delightful presentation. Sharpness appeared strong, with nary a soft spot on display. A couple of effects shots could be a smidgen tentative, but the vast majority of the flick came across as tight and concise. Jagged edges and moiré effects caused no concerns, and edge enhancement seemed absent. Source flaws weren’t an issue, so from start to finish, Goblet looked clean and fresh. None of the prior Potter films employed dizzying palettes, and that continued for Goblet, as hues remained subdued but accurate. This one left a more orange and teal than the prior flicks, and the 4K reproduced the colors in a lively, vivid manner. Black levels looked particularly solid, as they portrayed deep tones, while shadow detail appeared quite smooth and appropriately visible. Low-light situations seemed neatly defined and suffered from no excessive opacity. The movie boasted an impressive image. In addition, Goblet featured a very fine DTS-X soundtrack that really helped bring the action to life. Downconverted to DTS-HD MA 7.1, much of the track maintained a focus on the front, but within that spectrum, the audio seemed smooth and lively. At times, I thought the surround usage seemed little too reserved, but when the rear speakers really kicked into action, I better appreciated the mix. Quite a few sequences used the surrounds to great advantage. Most of these related to the various Triwizard Challenges as well as the Quidditch match at the start. During the action climax, the track also came to life intensely. Audio quality appeared solid. Speech seemed natural and warm, and I detected no issues related to edginess or intelligibility. The score was clean and bright, with very solid delineation and definition. Low-end response was deep and tight, as bass elements really added to some of the more aggressive sequences. This mix held up well when compared to the other films and it brought out a lot of good material. How did the 4K UHD compare to the 2007 Blu-ray? Audio showed a bit more range and involvement, while visuals seemed tighter and more dynamic. As good as the Blu-ray was, the 4K topped it. No extras appear on the 4K disc itself, but two bonus Blu-rays offer additional content. On Blu-ray One, we get an In-Movie Experience. Hosted by actors Oliver and James Phelps, this provides a picture-in-picture commentary. In addition to the Phelps boys, we hear from producer David Heyman, director Mike Newell, composer Patrick Doyle, visual effects supervisor Jim Mitchell, visual effects producer Theresa A. Corrao, ILM CG supervisor Doug Smythe, ILM CG moderling supervisor Ken Bryan, ILM compositing supervisor Patrick Tubach, special effects supervisor John Richardson, production designer Stuart Craig, animal supervisor Gary Gero, head animal trainer Dave Sousa, creature and makeup effects designer Nick Dudman, assistant art director Tom Still, ILM visual effects supervisor Tim Alexander, costume designer Jany Temime, key prosthetic makeup artist Mark Coulier, director of photography Roger Platt, MPC 2D supervisor Charlie Henley, MPC visual effects supervisor Ben Shepherd, MPC CG supervisor Nicolas Aithadi, and actors Daniel Radcliffe, Robert Pattinson, Clemence Poesy, Stanislav Ianeski, Brendan Gleeson, Miranda Richardson, Tom Felton, Josh Herdman, Jamie Waylett, Emma Watson, Frances de la Tour, Robbie Coltrane, Katie Leung, Roger Lloyd Pack, and Pedja Bjelac. They discuss story/character issues, the film’s opening, music, cast, characters and performances, visual design and various effects, sets, working with animals during the shoot, costumes and stunts, and a few other topics. The quality of the content found here is reasonably good, but the “In-Movie Experience” suffers from a few problems. Its biggest drawback comes from the infrequency with which material appears. Large chunks of the movie pass with no footage, so the presentation frustrates. In addition, I don’t think we find much here that doesn’t also appear elsewhere. The package presents a lot of additional programs, so “In-Movie” lacks much that would appear to be unique. Though I often like these picture-in-picture commentaries, this one ends up as a bit of a dud. 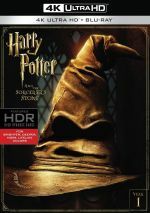 On Blu-ray Two, Creating the World of Harry Potter Part 4: Sound and Music goes for 54 minutes, 12 seconds, and includes notes from composers John Williams, Patrick Doyle, and Nicholas Hooper, producers David Barron and David Heyman. orchestrator James Shearman, musician Randy Kerber, orchestra leader Marcia Crayford, re-recording mixers Mike Prestwood Smith and Stuart Hilliker, supervising sound editor James Mather, sound effects editors Andy Kennedy, Jed Loughran, Martin Cantwell and Jon Olive, sound designer Richard Beggs, orchestrator Jeff Atmajian, directors Chris Columbus, Mike Newell and Alfonso Cuaron, conductor/adaptor William Ross, foley artist Peter Burgis, production sound mixer Stuart Wilson, ADR supervisor Dan Laurie, chorus master Terry Edwards, and actors Emma Watson, Daniel Radcliffe, Matthew Lewis, Jason Isaacs and Bonnie Wright. “Sound and Music” discusses… sound and music. (Duh!) It spreads across multiple films and investigates its subjects in much greater detail than usual. Normally these topics get about three minutes total toward the end of a “making of” program, but here, we learn quite a lot about them. The documentary really digs into them, and it gives us a good exploration of their use on the films. Next comes the 30-minute, 36-second Conversations with the Cast. It features Radcliffe, Watson, and Grint as they chat with host Richard Curtis. They chat about their reactions to the final film, daily life making the flick, working with Newell, character growth and their interactions, thoughts on the other actors and info about experiences that came to them through their fame. Five contest winners also get to ask some questions. This one doesn’t dig into things with much depth, as it stays pretty superficial. Nonetheless, it lets the actors offer some interesting viewpoints on things. During the 48-minute, 51-second Harry Potter and the Goblet of Fire: Behind the Magic, we locate info from Watson, Radcliffe, Heyman, Newell, Coltrane, Grint, Dudman, Mitchell, Miranda Richardson, Leung, Craig, Ianevski, MacDonald, John Richardson, Pattinson, and Webber. Hosted by Ben Shephard, we take a tour of the film sets and hear about a good mix of movie topics connected to the film. We find performance notes as well as comments about sets, effects, and other areas. We’ve heard a fair amount of this info elsewhere, and “Magic” goes down a promotional path, but it still gives us a reasonably informative overview. 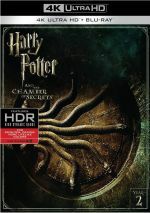 Inside Harry Potter and the Goblet of Fire fills 43 minutes, 48 seconds and provides details from Heyman, Radcliffe, Newell, Watson, Columbus, Grint, Coltrane, Cuaron, Miranda Richardson, Isaacs, Poesy, Pattinson, Ianevski, Gleeson, Barron, Smith, Fiennes, author JK Rowling, and actors Timothy Spall and Michael Gambon. Like “Magic”, this one takes a promotional bent, but unlike “Magic”, it doesn’t provide much memorable information. “Inside” spends much of its length in a discussion of characters and story elements. Essentially, it recaps the movie and occasionally throws out filmmaking tidbits. We don’t get many of the latter, so it becomes a pretty tedious experience. 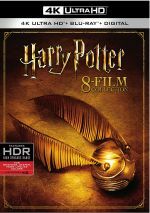 Within the 24-minute, 12-second Harry Potter and the Goblet of Fire: The Adventure Continues, we discover statements from Watson, Radcliffe, Fiennes, Heyman, Newell, Gambon, Felton, Grint, Ianevski, Poesy, Pattinson, Gleeson, Miranda Richardson, Leung, Craig, Smith and stunt coordinator Greg Powell. Like “Inside”, “Continues” acts as a promotional piece. It mostly just relates story/character thoughts, so you won’t learn much here. Even the behind the scenes tidbits fail to tell us anything much that we don’t already know. It’s a pleasant viewing but it doesn’t give us much meat. Next comes Harry Potter and the Goblet of Fire: Some Animal Magic. Hosted by Shephard, it goes for 23 minutes, 25 seconds and features Watson, Radcliffe, Lewis, Coltrane, Newell, Gero, Grint, Newell, American Humane’s Janice Caputo, and animal trainers Jules Trottman, Simon Neville and Dave Sousa. The program looks at the critters who work on the flick and shows how the filmmakers get the animals to do their thing. This one follows the same peppy tone as “Behind the Magic”, and it’s also pretty informative. Sure, it exists for promotion, but it still gives us an intriguing perspective on an unusual topic. 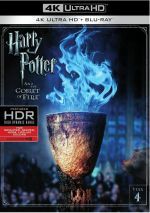 Finally, Harry Potter and the Goblet of Fire: Dark Matters, New Masters runs 13 minutes, two seconds and uses material from Newell, Radcliffe, Grint, Watson, Heyman, Gambon, Ianevski, Poesy, Pattinson, Gleeson, Miranda Richardson, Fiennes, Leung, and Powell. This is essentially a shorter version of “Continues”. That makes it even less useful, so I wouldn’t bother with it. Eight Deleted Scenes occupy a total of nine minutes, 58 seconds. These fill 10 minutes and three seconds. We find: a scene in which the Hogwarts kids welcome the representatives of the other schools, observations of these kids, Harry’s attempts to ask out Cho Chang, a rock band at the ball, Harry’s observation of some intrigue between Severus Snape and Igor Karkaroff, a warning from “Madeye” Moody to Harry, and some deliberations about the mystery among Harry, Hermione and Ron. The rock band sequence is easily the longest of the bunch, and the others tend to be pretty short. They add little but are moderately interesting to see. Disc Three ends with Trailers. In addition to one teaser and two theatrical ads, we get promos for Harry Potter Spells (an iPhone/iPod app), Harry Potter: A Pop-Up Book, and the Harry Potter: Film Wizardry book. The best of the first four films, Harry Potter and the Goblet of Fire was the first one to make me interested to see what happens next. It’s still too long and meanders a bit too much, but it offers better focus and greater drama. The 4K UHD boasts excellent picture and audio along with a useful compilation of bonus features. A solid fantasy tale, I>Goblet fares well on 4K UHD.